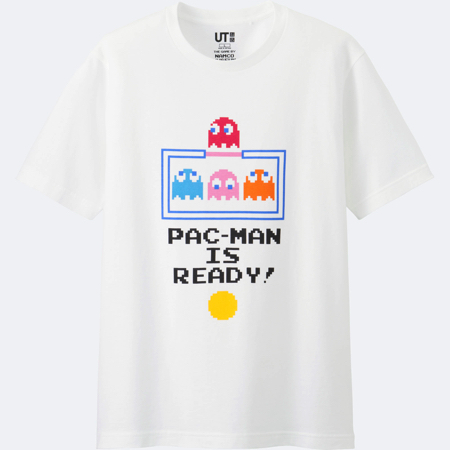 UNIQLO are set to release a line of t-shirts from their graphic t-shirt brand UT in collaboration with two of Japan’s biggest game developers, BANDAI NAMCO and Taito. BANDAI NAMCO’s Pac-Man and Taito’s Space Invaders were significant players in lighting the video game boom from the mid-70’s through the 80’s, both proving at the time unparalleled in popularity. 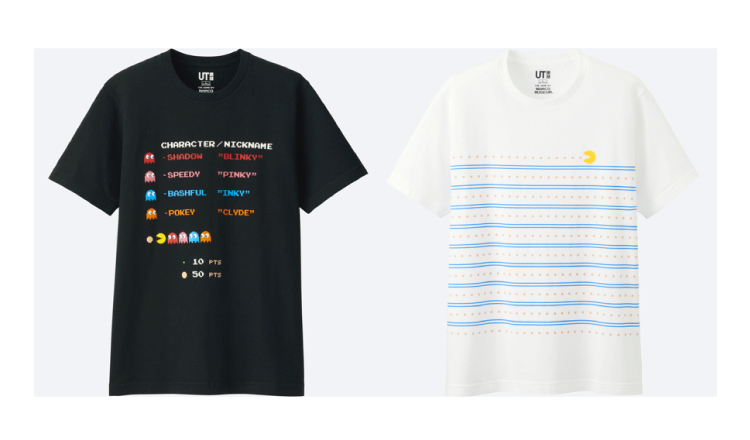 The t-shirts from UT serve to recreate the classic 8-bit nostalgia in their designs. 8-bit is perceived differently from generation to generation – while it rings nostalgic to those who were knee deep in the arcade game boom it also serves to form a fresh retro culture with the younger people of today. UT hopes to deliver a fusion of fashion and game culture that represents Japan to the rest of the world. This is the first time in 10 years masterpiece titles from Namco Museum,which has captivated the world since the 1980s, has returned to UT. Five of BANDAI NAMCO Entertainment’s classic arcade titles will make an appearance, including Pac-Man, shooters Galaga and Xevious, Mappy the police mouse, and maze game Dig Dug. NAMCO MUSEUM TM & ©BANDAI NAMCO Entertainment Inc.
Space Invaders was released in 1978 by Taito, and to celebrate its 40th anniversary, the game has joined hands with UT for the very first time. The game was an immediate success upon release and was a huge impact on the industry. One of the earlier shooting games, the player’s objective is to defeat waves of oncoming aliens and survive to earn as many points as possible. The designs have yet to be unveiled but also make use of the 8-bit format, with Invaders embroidered on the pockets. Collaboration for the first time in four years! “ONE PIECE” designed T-shirts produced for UNIQLO by“UT” will be released. LIBERTY LONDON for UNIQLO – Spring/Summer 2016 collection! From 24th March, experience the fusion of UNIQLO LifeWear with British brand designs!